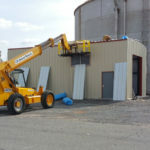 We just completed the installation of a 20′ x 40′ x 16′ Pre-Engineered all Steel Building for NRG Power Plant in Dickerson, Maryland. 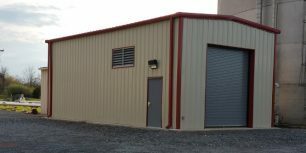 The building was manufactured by Corle Building Systems, which is based out of Imler, Pennsylvania. 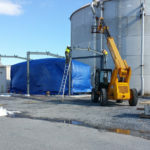 The steel building will help protect a piece of equipment that is a new addition to the NRG Power Plant facility. 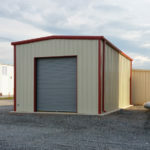 The overhead door was installed by Over Head Door company of Beltsville, MD. 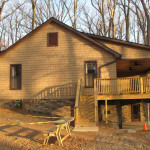 We just recently completed the remodeling of a kitchen for a family in Poolesville, Maryland. 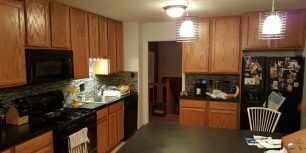 The job included the removal of the existing kitchen cabinets and counter tops, and the installation of all new kitchen cabinets with new Corian Tops. 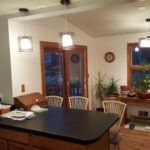 We finished the new look by adding some glass backsplash tile along with some new hanging pendant lighting. 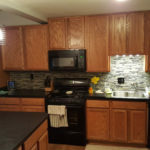 The cabinets were provided by Cabinet Maven, LLC. 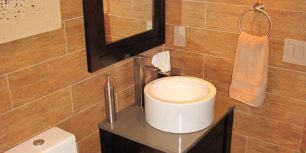 and the Corian tops were supplied and installed by Designer Surfaces of Frederick, MD. 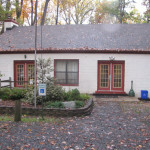 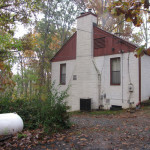 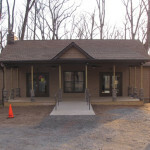 The plumbing was completed by Poolesville Plumbing. 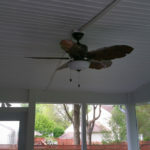 Electrical was completed by Champion Electric. 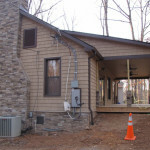 It takes a team to complete any project. 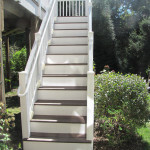 When you hire D.R. 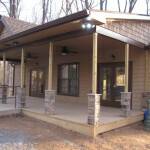 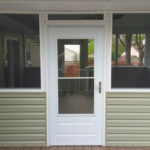 Hartman Construction, Inc., we bring our team of experts to do your project. 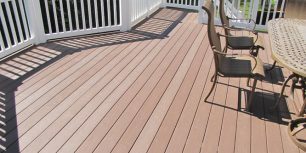 Give us a call today at 301-926-9000. 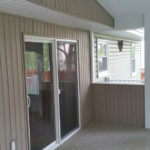 This was a deck renovation. 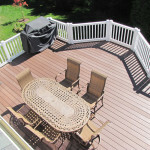 Replaced all the treated decking with Azek deck and Azek railing. 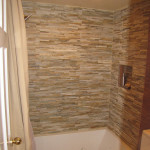 This was small remodel of an existing bathroom. 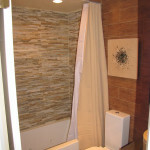 Complete demo, and installation of all new fixtures, lighting and finishes. 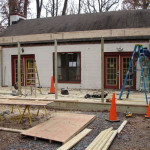 This was a job for the Rockville Izaak Walton in Germantown, MD. 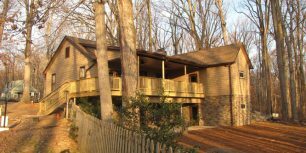 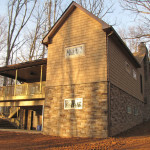 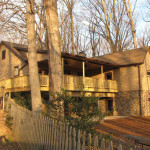 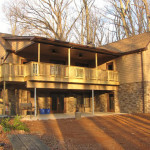 The project was a complete exterior face lift with stone, siding and new roof. 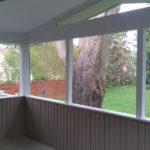 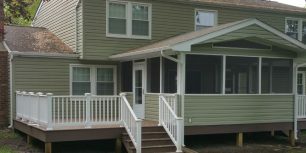 Also included was a new front covered over deck. 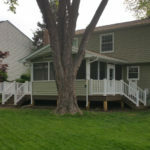 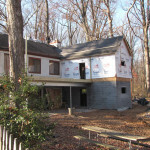 Covered upper level rear deck, and a two story bathroom addition. 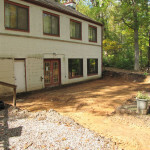 With new rear walkout concrete patio. 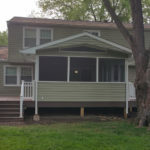 Below are some before, during & after construction photos of the front. 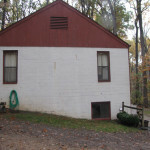 Photos of the two sides.